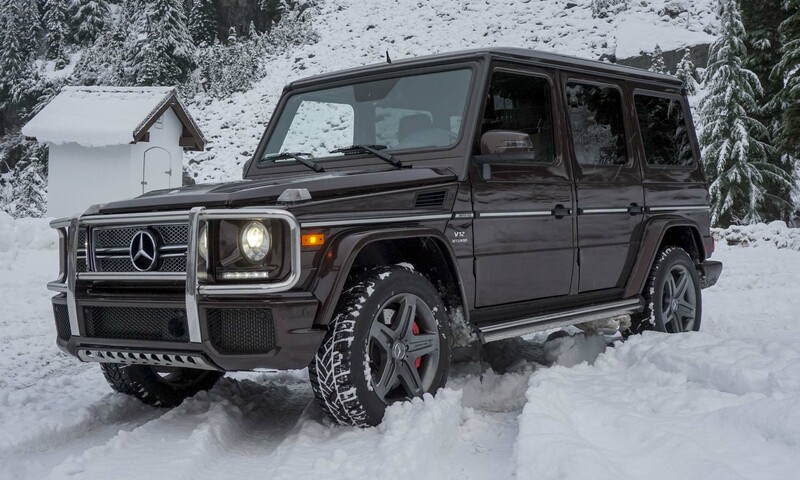 What can be said about the Mercedes-AMG G65? The price? Ridiculous. Horsepower? Excessive. Capabilities? Extreme. Fuel economy? Dismal. 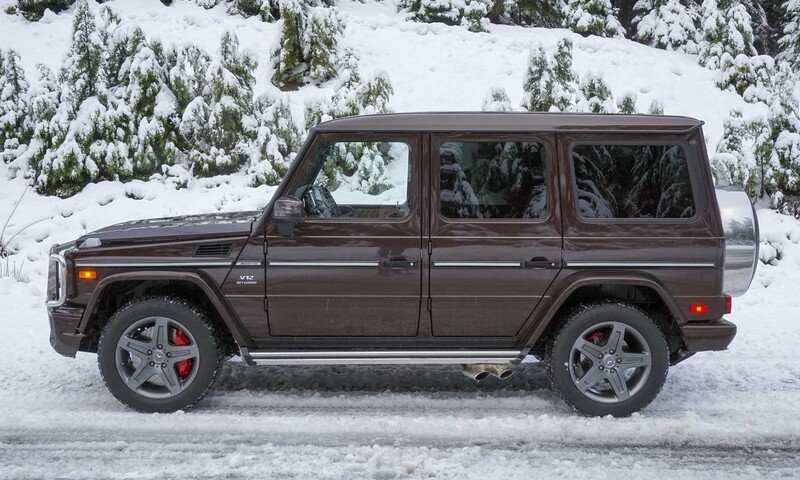 Even so, the AMG G65 is one of the coolest vehicles on the road — and we love it. 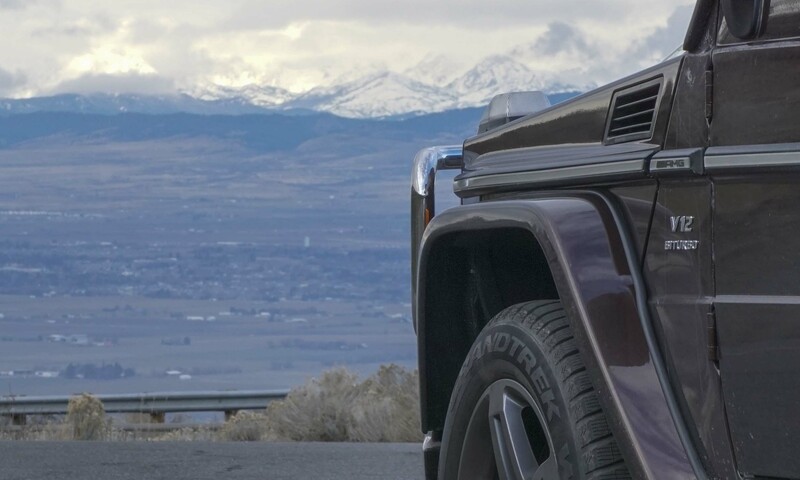 Based on the same rugged platform that originated in 1979 for military use, the AMG G65 remains in a class by itself, and there still isn’t anything quite like it on the U.S. market. 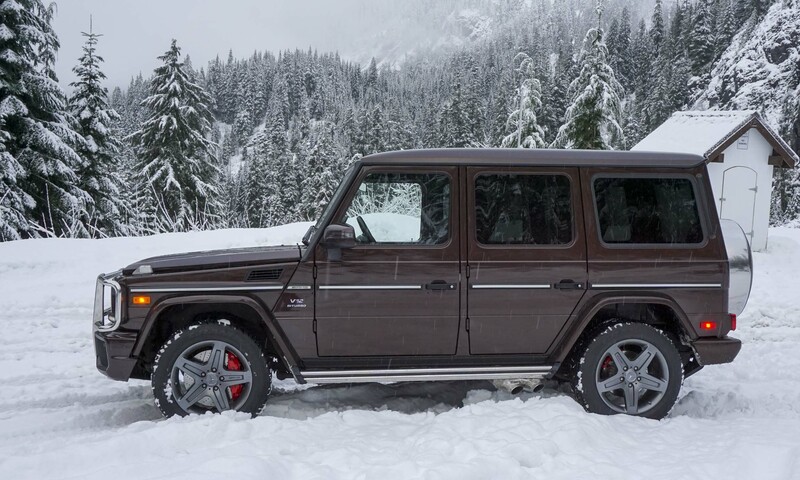 The AMG G65 functions as the top-level trim of the decidedly highbrow Mercedes G-Class model line. 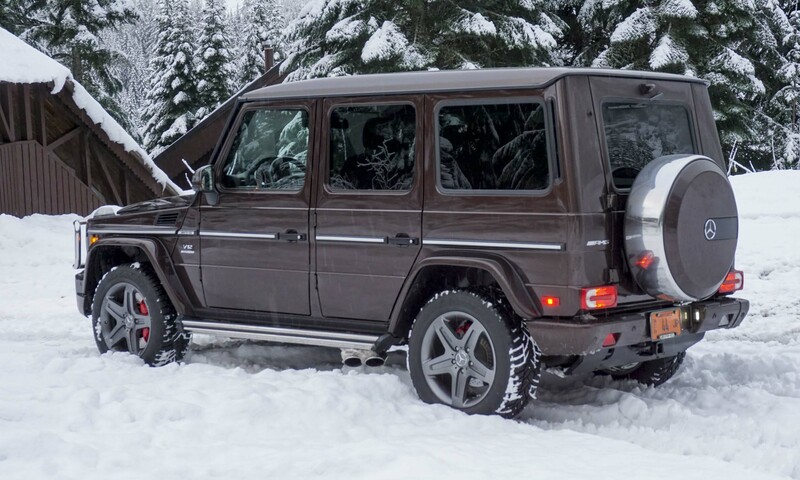 Our test vehicle was a 2016 Mercedes-AMG G65 equipped with only two factory options: a rear-seat entertainment system and a heated steering wheel. 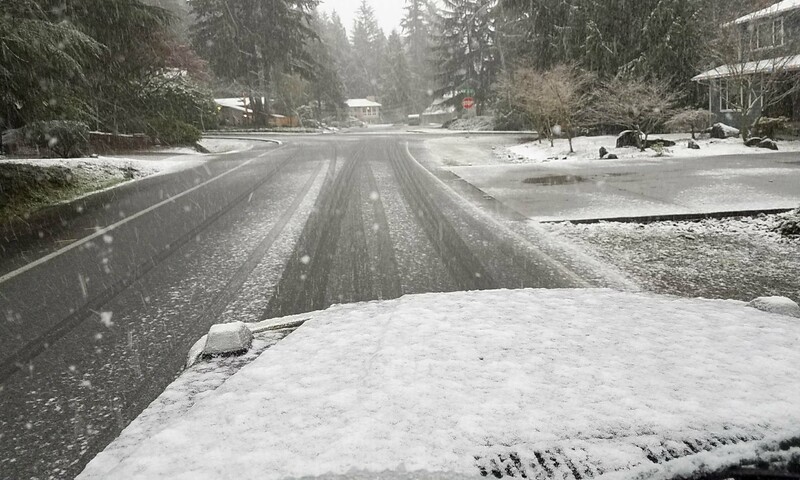 It also arrived with Dunlop Grandtrek winter tires, so it was well equipped for a stint in the Pacific Northwest. 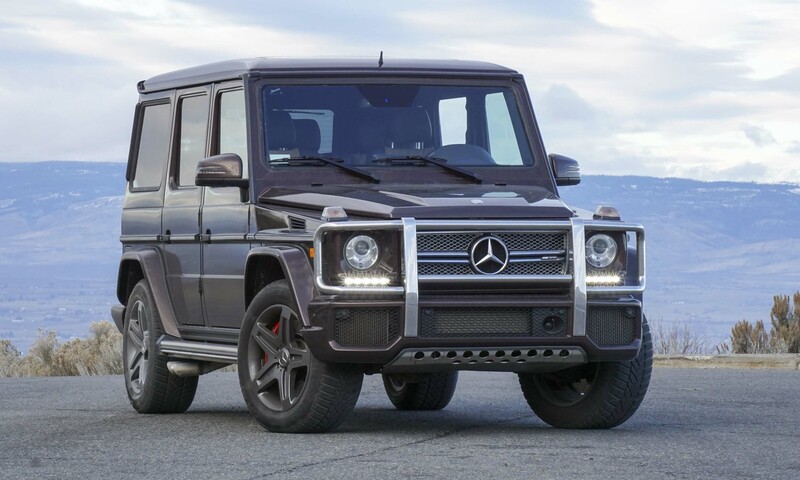 The total MSRP for the G65 as equipped is $221,925. If pressed to name competitors to the G65, we would include luxury SUVs such as the Bentley Bentayga, Porsche Cayenne GTS and Land Rover Range Rover SVR. 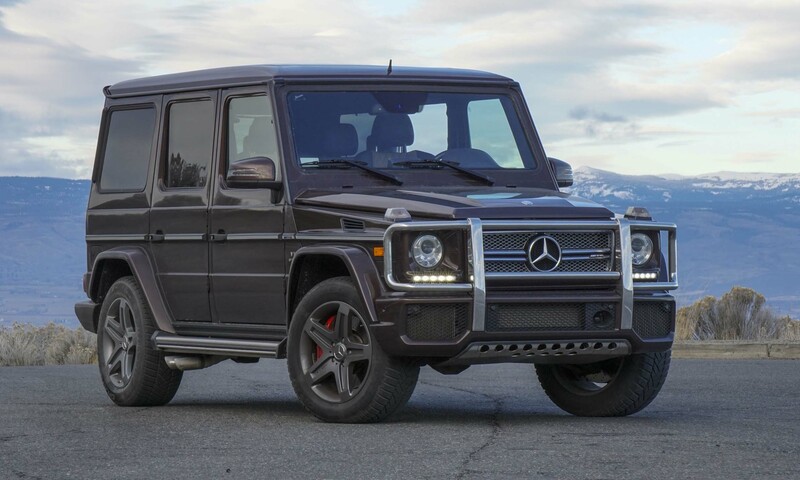 This might sound sexist, but if a car could be called “manly” the G65 fits the bill, so we decided to do something manly with it. We drove about 500 miles roundtrip from Seattle to Stanfield, Oregon, over a snowy mountain pass to procure meat — a partial side of beef, to be exact. 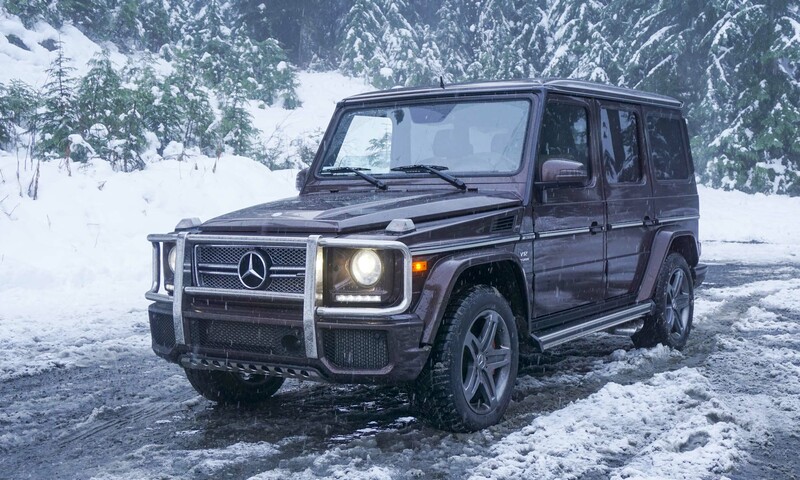 Since we’re big fans of raw horsepower, we love almost anything with an AMG badge on it, and the G65 certainly delivers in the power department. Under the hood lurks a hand-built twin-turbo 6.0-liter V12 engine putting out a whopping 621 horsepower and 738 lb-ft of torque. Mercedes claims a zero-to-60 mph time of 5.3 seconds — perhaps not sports car territory, but impressive for a 6,000-pound SUV with the aerodynamics of a brick. All that power was a welcome companion on our road trip. We easily cruised up mountain passes and quickly overtook slow-moving vehicles. 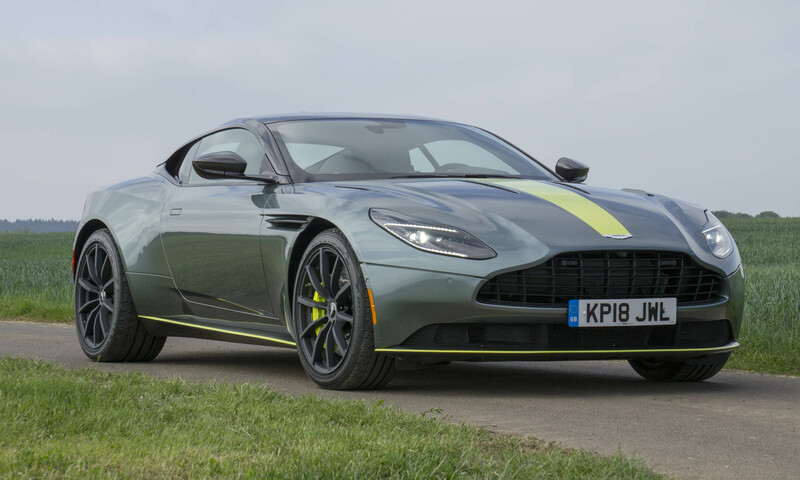 With the adaptive cruise control set near 80 mph, the big V12 barely registered the effort. 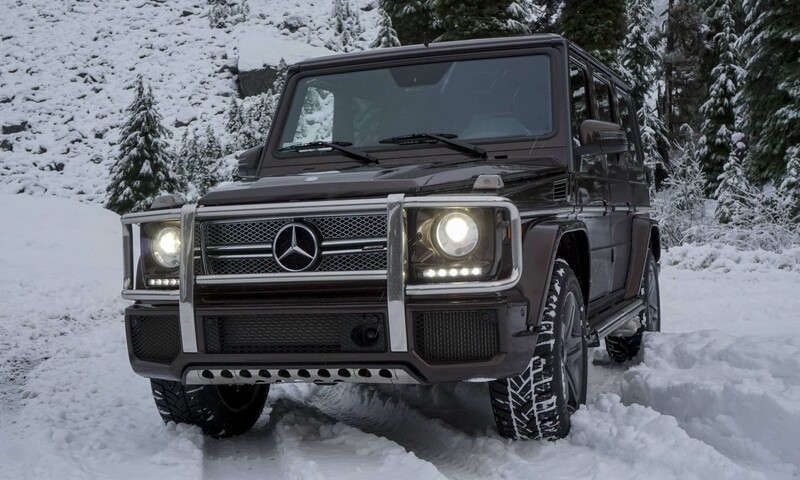 It may be tall and boxy, but the G65 handles high speeds and mountain roads without breaking a sweat. We like AMG products for their quad exhaust pipes at the back, which help them stand out from the run-of-the-mill Mercedes crowd. What’s even more special? Quad pipes that emerge from beneath the sides of the G65, under the rear doors. Not only do the side pipes look cool, they emit a wonderful sound from that big V12. 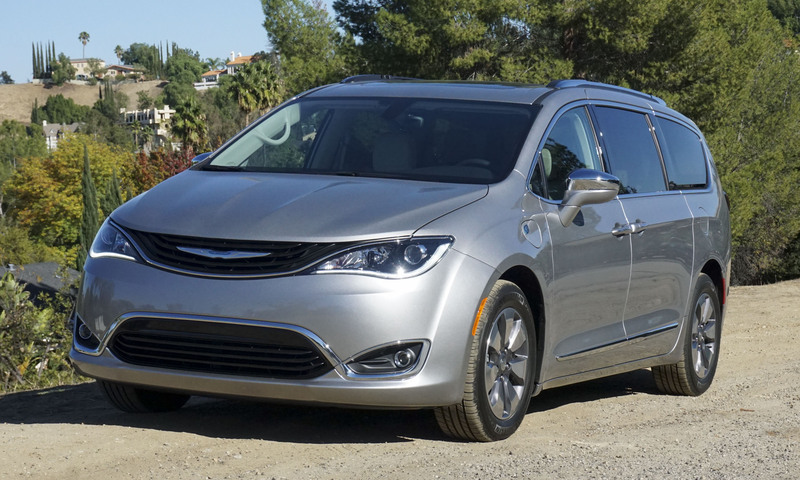 Most vehicles — even big gas-guzzling SUVs — will experience improved fuel economy when cruising at steady speeds on flat highways. 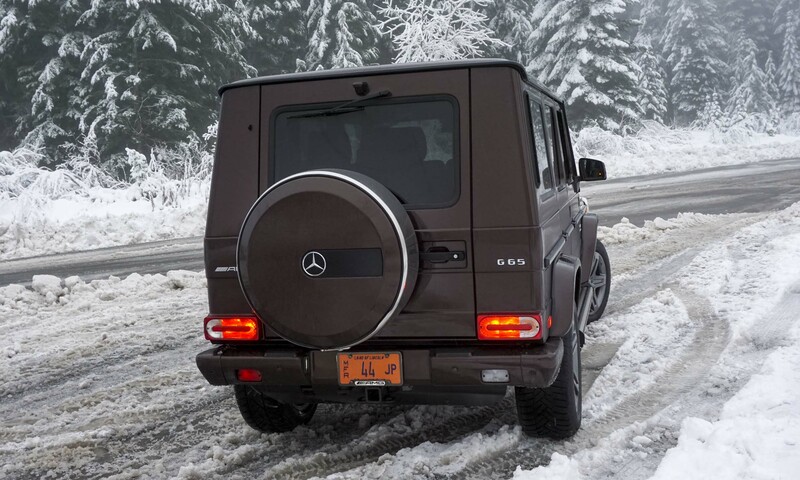 The G65 is no exception, but the improvement isn’t much. 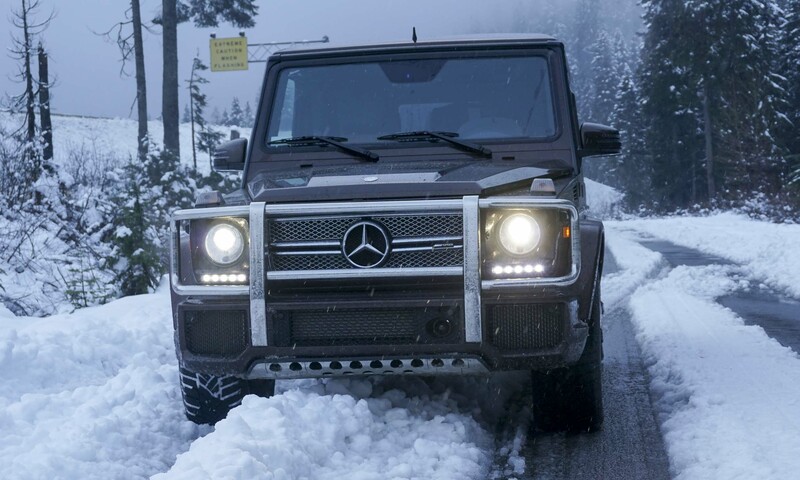 After seeing 10 mpg in the city, the big G-Wagen achieved 12.3 mpg on the highway. That V12 is one thirsty engine. 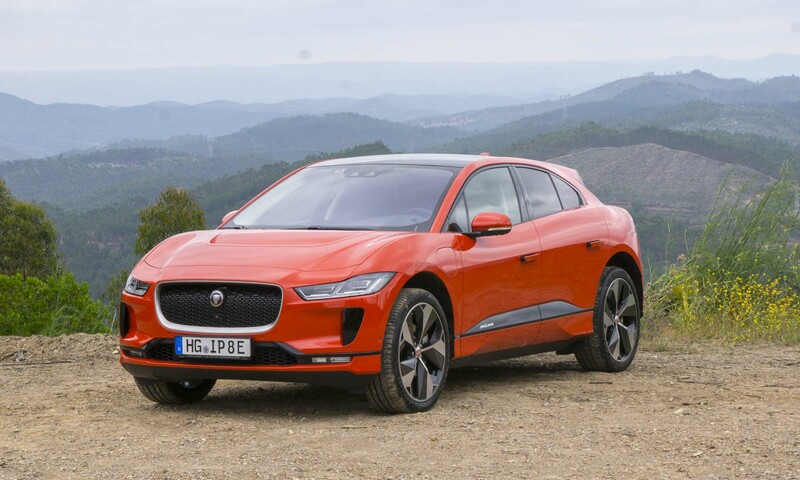 In many new cars it can be difficult to see all four corners from the driver’s seat, especially in vehicles with sloping hoods and raked windshields. This isn’t an issue for the G65. 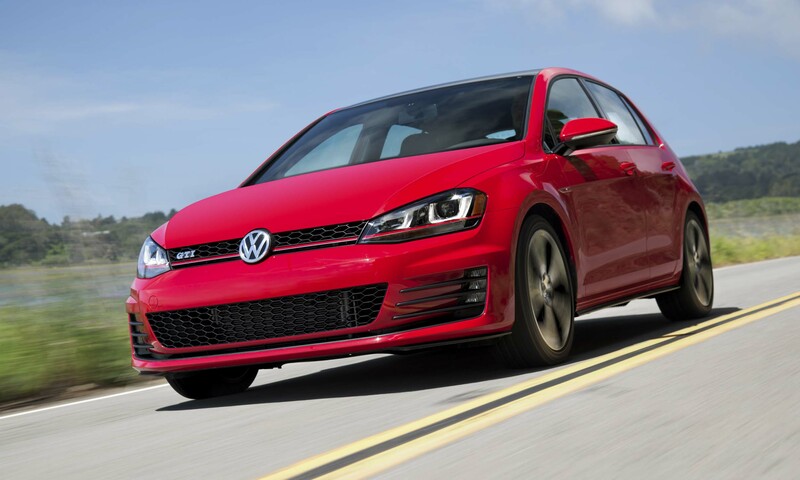 The driving position is high up and close to the windshield — so close that the driver’s fingertips can touch the windshield with hands still on the steering wheel — and with the boxy styling, the edges of both front fenders are in plain sight. 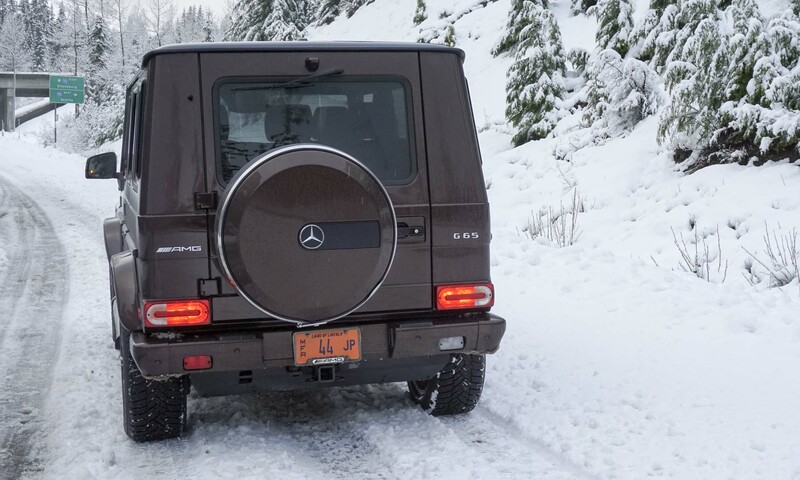 We were thankful that Mercedes equipped our test vehicle with winter tires once we encountered snow on Snoqualmie Pass in Washington. 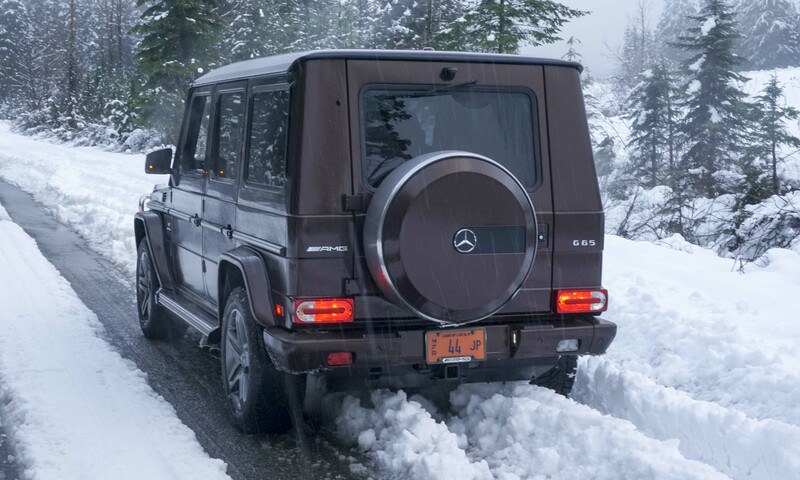 There were 5 to 6 inches of snow on the roads around the Alpental Ski Area, but it barely slowed the G65. 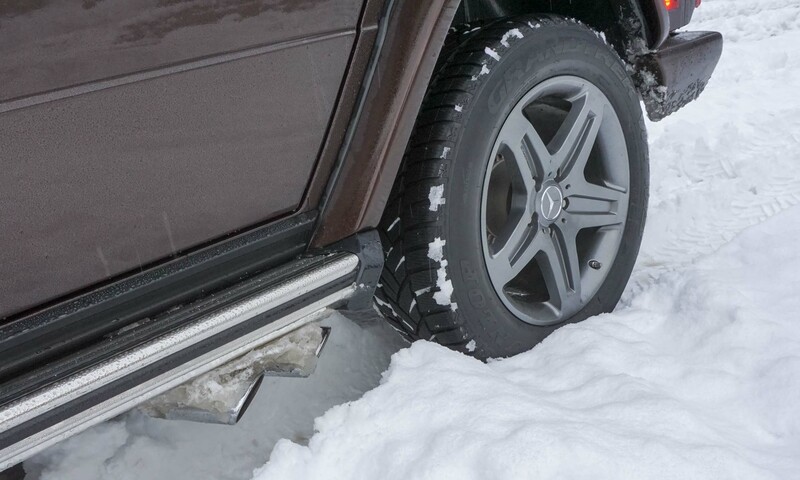 This vehicle with its three locking differentials and almost 8 inches of ground clearance is capable of handling considerably more snow than we found on this road trip. 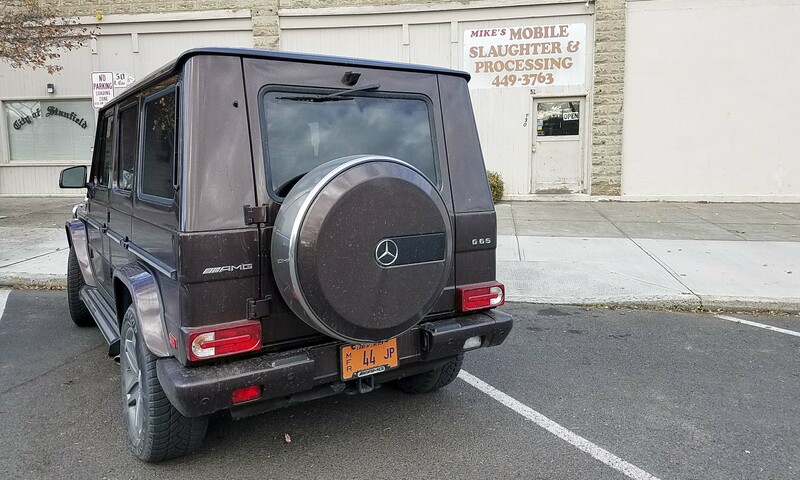 There’s plenty of storage space in the G65’s cargo area, especially since the spare tire resides in a carrier on the back door. Given the weight of the tire and the heft of the door, it takes some effort to get the rear door open. And it must be slammed shut so the door will latch — it feels a bit like closing the door to a vault. The AMG G65’s rear seat can be a bit cramped for legroom, especially after a tall driver has adjusted the front seat. 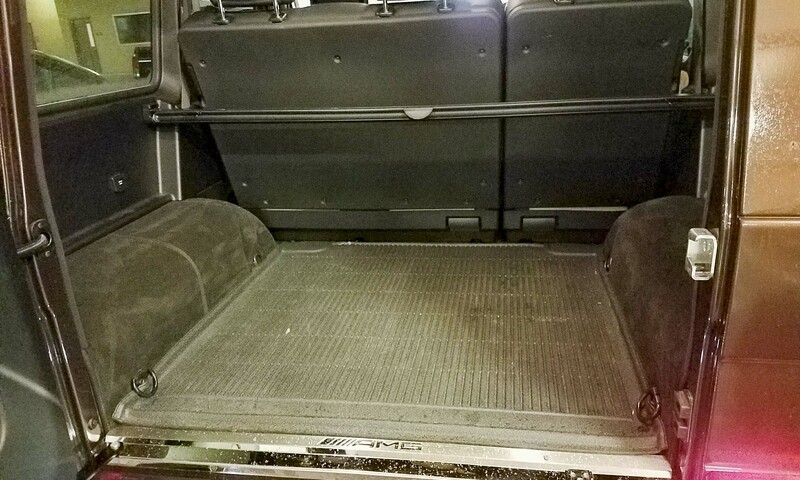 However, the G65 possesses considerable width, and with a flat floor the middle seat is actually usable. Our test vehicle was also equipped with a rear-seat entertainment system to help distract from the lack of space back there. 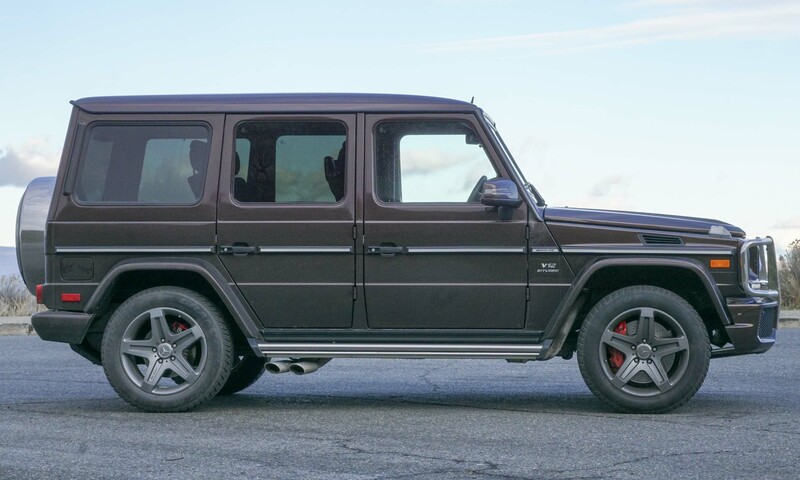 Our test AMG G65 featured “designo” Sand Nappa Leather trim, which is quite attractive. The front seats offer a number of adjustments, so even after several hours into our road trip we remained comfortable. There is only one cupholder for the front seats of the G-Class, and it is a bit laughable. 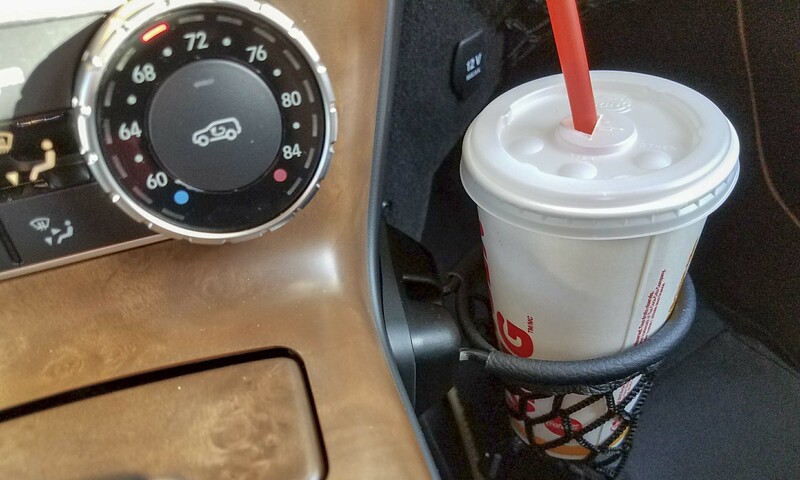 Clearly an afterthought, the cupholder is basically a ring with a net attached to the right side of the center console. That said, it functions as intended despite a tacked-on appearance. 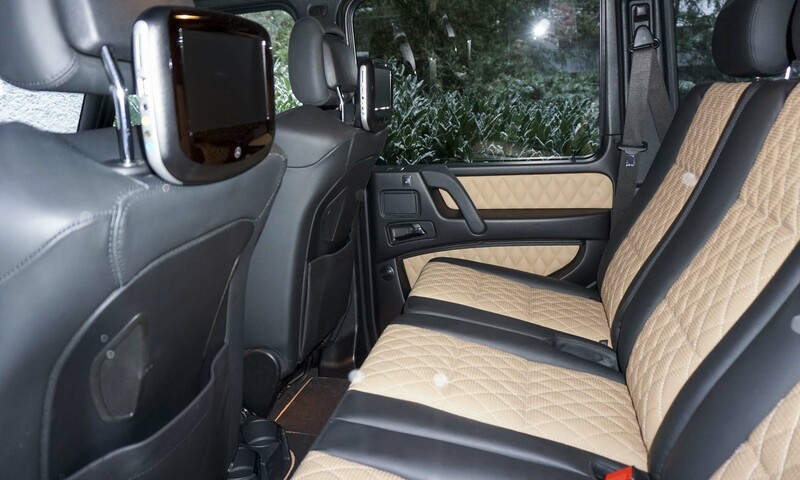 Even though seats in the G65 are comfortable, the ride could not be called smooth. The winter tires likely had some effect, but every bump and bit of uneven pavement was noticeable. A considerable amount of road noise enters the cabin — an expected result from pushing a nearly vertical windshield through the air at highway speeds. Environmental implications aside, there’s something about piloting this big go-anywhere SUV that makes the experience unlike anything else. 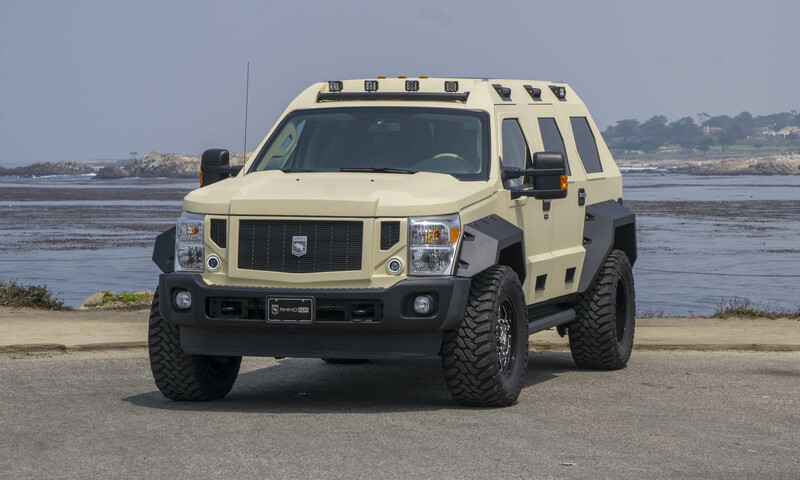 Add to that a monster V12 engine and the price tag of a small house and the cool factor goes through the roof. 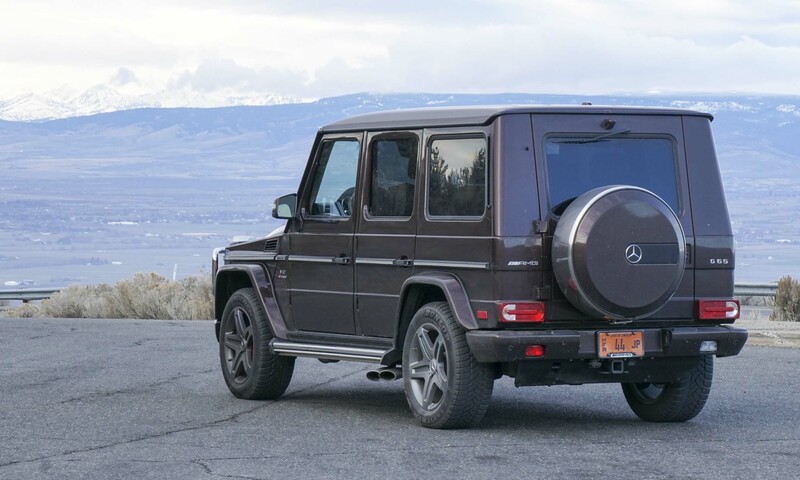 The G65 is clearly not for everyone — in fact, few buyers will fully exercise or appreciate this vehicle’s capabilities. 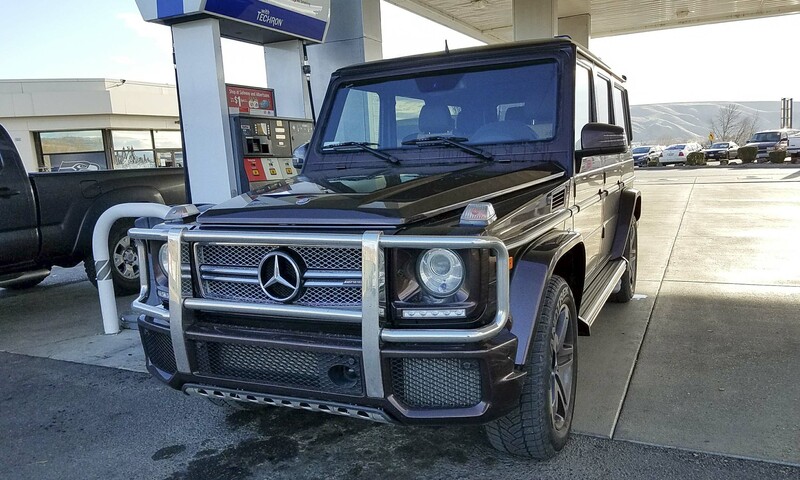 We also found that the performance of the G65 is not substantially better than the G550, which is priced about $100,000 less. No matter for some — that V12 Biturbo badge on the side is worth the price of admission.